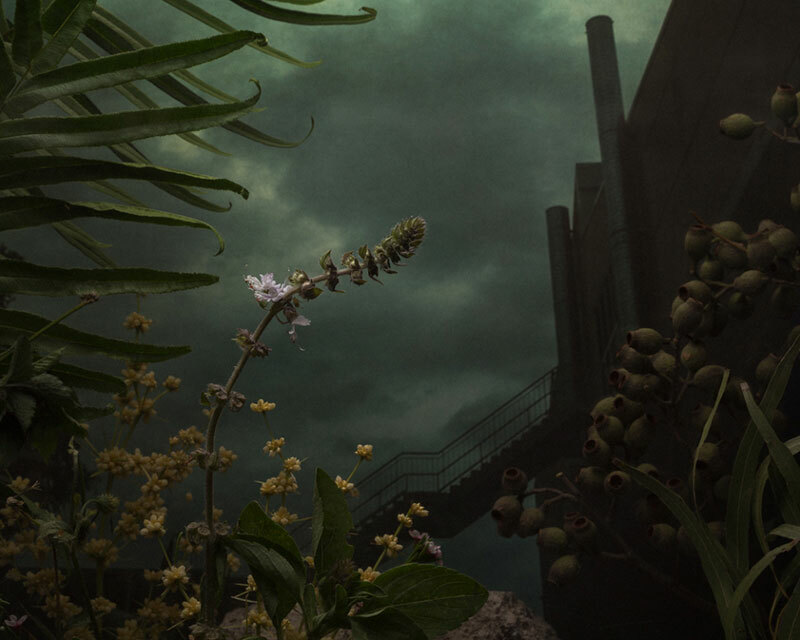 Botanical Plants by Daniel Shipp. 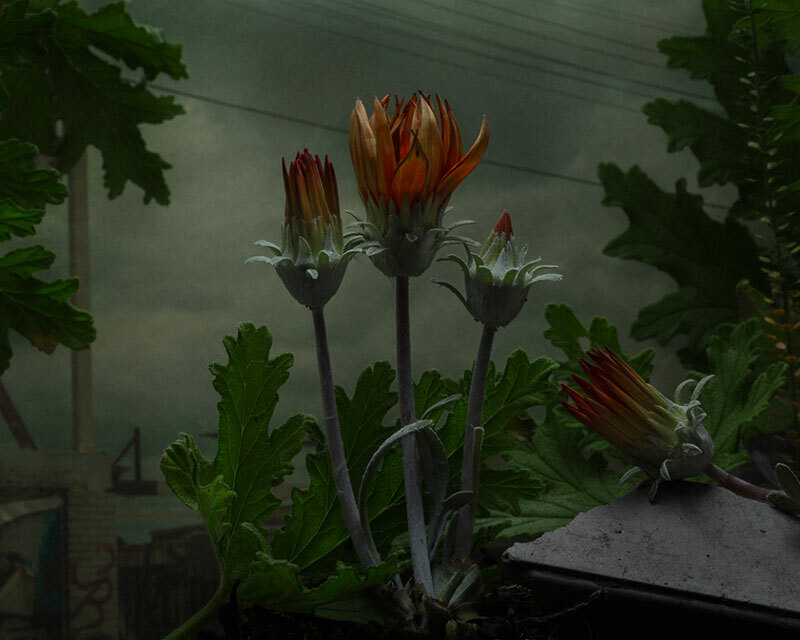 The unremarkable plants are staged against the backdrop of common urban environments which become storytelling elements on their own and invites the viewer to imagine their own narratives. Daniel’s visual approach was inspired by Robert John Thornton’s Temple of Flora – a series of engraved plates commissioned in the 18th century that depicts unusual botanical specimens in the form of darkly romanticised illustrations with an otherworldly aesthetic. 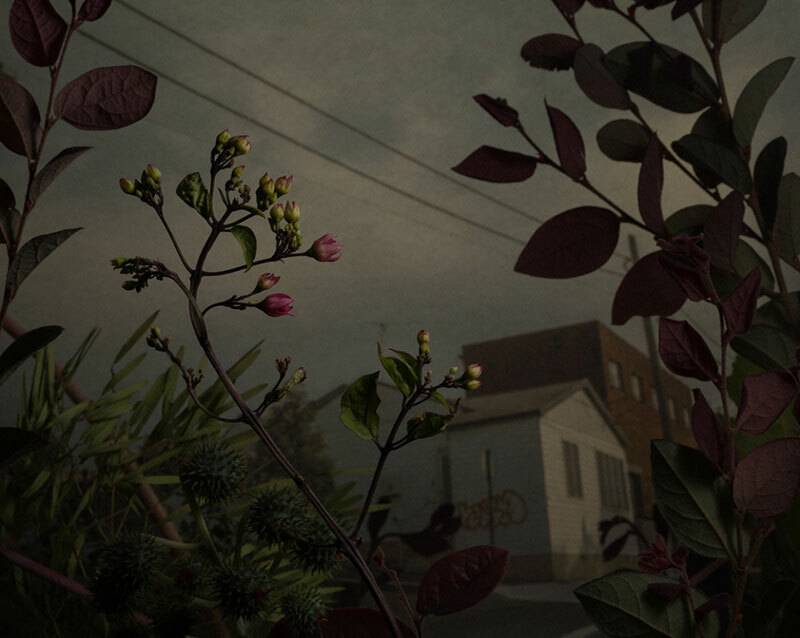 In these compositions the physical characteristics of the unremarkable plants I have collected become storytelling elements which, when staged against the backdrop of common urban environments, explore the quietly menacing effect that humans have on the natural world. 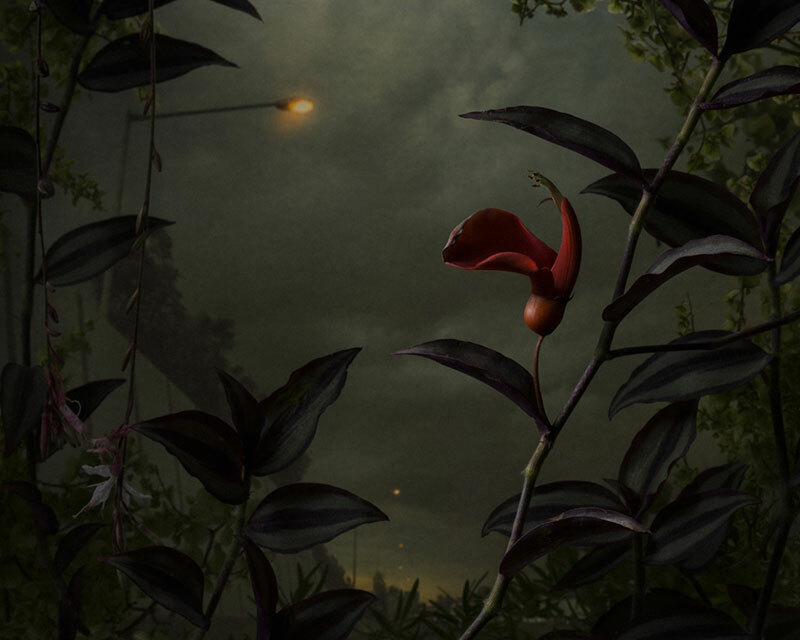 From a subjective and ambiguous point of view we witness the plants ability to adapt and survive. By manipulating the optical and staging properties of photography with an analogue “machine” that I have constructed, I have produced these studio based images “in camera” rather than using Photoshop compositing. They rely exclusively on the singular perspective of the camera to render their mechanics invisible. ← The Kondhs of Odisha, India.